The Imperial Japanese Army Railway and Shipping Section was the logistics unit of the Imperial Japanese Army charged with shipping personnel, material and equipment from metropolitan Japan to the combat front overseas. Under it were the Railway Ministry, the South Manchuria Railway, Chinese Eastern Railway (later absorbed by the Manchukuo National Railway), the North China Transportation Company, the Central China Railway, Southern Asian Railway facilities amongst Civil Merchants shipping transports. It also worked with the Imperial Japanese Navy Shipping Services. The section was commanded by Okikatsu Arao, Sōsaku Suzuki and other Army officers. The South Manchuria Railway, officially South Manchuria Railway Company, or 滿鐵 for short, was a large National Policy Company of Japan whose primary function was the operation of railways on the Dalian–Fengtian (Mukden)–Changchun corridor in northeastern China, as well as on several branch lines. However, it was also involved in nearly every aspect of the economic, cultural and political life of Manchuria, from power generation to agricultural research, for which reason it was often referred to as "Japan's East India Company in China". The Manchukuo National Railway was the state-owned national railway company of Manchukuo. Generally called the "國線", it was controlled by the Manchukuo Ministry of Transportation and had its lines primarily in the central and northern parts of the country. In local newspapers it was simply referred to it as "國鉄"
The section comprised the First (Operations) and Third (Transportation and Communications) bureaux, the 2nd (Operations) and 10th (Shipping and Railways) sections. To conduct operations on rivers and at sea the Japanese Army produced many kinds of vessel, i.e. landing craft, motorboats, gun boats, landing ships etc. In the Pacific War, they built aircraft carriers and submarines. Besides the Army engineer units for river-crossing, the Japanese Army had their own shipping force to transport troops at sea which sometimes acted in concert with Japanese Navy vessels to transport their forces. It was a large force which employed 300,000 soldiers (Army Shipping Units) at maximum and managed 30% of Japanese transport ships. For the Japanese Army, the Pacific War was not only a battle on the ground, but also at sea. Many Japanese soldiers fought on board against enemy submarines, PT boats and airplanes. At last, they rode on a Kamikaze special-attack boat and dashed into the enemy ship. Air transport was charged to Hikōtai Transport Unit of the Imperial Japanese Army Air Service, sometimes both services were coordinated with amphibious transport services and other special wartime operations. In Manchukuo the Army was linked to transport services with local transport units of Kwantung Army Railway and Air Transport units and Manchukuoan Air and land Transport services which served in Kwantung, Northern China, Manchukuo and Chosen. The Japanese Army Air Force Hikōtai Unit was an Imperial Japanese Army Air Service Air transport section whose mission was to transport personnel, weapons and equipment to occupied territories or the combat front in wartime. Such units supported Army airborne forces during their missions as well. 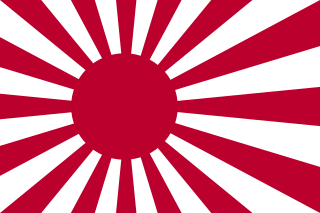 The Imperial Japanese Army Air Service or Imperial Japanese Army Air Force or, more literally, the Greater Japan Empire Army Air Corps, was the aviation force of the Imperial Japanese Army (IJA). Just as the IJA in general was modeled mainly on the German Army, the IJAAS initially developed along similar lines to the Imperial German Army Aviation; its primary mission was to provide tactical close air support for ground forces, as well as a limited air interdiction capability. The IJAAS also provided aerial reconnaissance to other branches of the IJA. While the IJAAS engaged in strategic bombing of cities such as Shanghai, Nanking, Canton, Chongqing, Rangoon, and Mandalay, this was not the primary mission of the IJAAS, and it lacked a heavy bomber force. On land the Army also used the services of Kwantung Army Field Railway Command (in Manchukuo), the 1st and 2nd Field Railway Commands, China Expeditionary Army (Chinese occupied lands) and Southeast Asia Field Railway Command of Southern Army in its controlled lands along with land transports services in its Army units in combat front joining rail services previously mentioned. Actually, shipping and aircraft were parts of a vicious circle. In order to realize increased production of aircraft, raw materials had to be conveyed by ship from overseas. Since vessels were lost in the process, a shortage of materials resulted. This affected the output of planes. But if aircraft were not turned out in increased numbers, surface shipping could not be covered from the air. 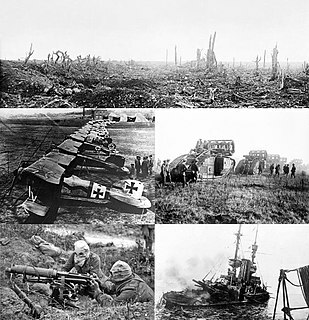 Thus, the more ships were sunk, the less airplanes could be manufactured. Herein lay the cause for increasingly bitter antagonism between the Army and the Navy. In 1944 shipping losses soared: 290,000 tons in January; 380,000 tons in February; and 340,000 tons in March. Because of this critical situation, convoy measures became a pressing problem of the Army and the Navy. By 1944, measures to counter the mounting losses of ships had become imperative, and both of the armed services were conducting joint investigations. On March 17, 1944, a Joint Army-Navy Conference was held in the presence of the Emperor, to study methods of meeting the shipping-loss problem. The Army sent its Chief of Staff, the two Deputy Chiefs, the heads of the First (Operations) and Third (Transportation and Communications) bureaus, the heads of the 2nd (Operations) and 10th (Shipping and Railways) sections, the Vice-Minister of the Army, the Chief of the Bureau of Military Affairs, and the head of the Military Affairs Section. The Navy was represented by its counterparts. Efficient utilization of shipping, by decreasing the amount of munition loads, accelerating both loading and unloading operations, and assigning cargo foremen. War Minister Hideki Tōjō had good reasons for adhering to his opinion during the arguments with the Army High Command about the problem of requisitioning operational shipping space. Previously, in June 1938, the Army had established the Tama Army Technical Research Institute, with the objective of speeding up the practical application of radar devices. Ground and aerial investigations which, until then, had been pursued separately, were to be integrated and developed along military lines. In order to devise efficient radar weapons for practical use as soon as possible, however, both the Army and the Navy should have pooled their research facilities; but here again the serious rivalry between the armed services stood in the way. The Army itself studied and manufactured anti-submarine radar equipment to be installed on its own transports. Among those concerned with Army operations, incidentally, not a few were of the opinion that the inferiority of anti-submarine radar devices was a cause for Japan's defeat. In other words, the country lost out in the logistical sense because of great shipping losses, which were in turn directly attributable to the radar weaknesses. The Wasp class is a class of Landing Helicopter Dock (LHD) amphibious assault ships operated by the United States Navy. Based on the Tarawa class, with modifications to operate more advanced aircraft and landing craft, the Wasp class is capable of transporting almost the full strength of a United States Marine Corps Marine Expeditionary Unit (MEU), and landing them in hostile territory via landing craft or helicopters as well as providing air support via AV-8B Harrier II attack aircraft or F-35B Lightning II stealth strike-fighters. All Wasp-class ships were built by Ingalls Shipbuilding, at Pascagoula, Mississippi, with the lead ship, USS Wasp, commissioned on 29 July 1989. Eight Wasp-class ships were built, and as of June 2018, all eight are active. USS Redfish (SS/AGSS-395), a Balao-class submarine, was the first ship of the United States Navy to be named for the redfish. Her keel was laid down on 9 September 1943 at the Portsmouth Navy Yard of Kittery, Maine. She was launched on 27 January 1944 sponsored by Miss Ruth Roper, and commissioned on 12 April 1944 with Commander Louis D. McGregor in command. George Levick Street III was a submariner in the United States Navy. He received the Medal of Honor during World War II. The Japan Maritime Self-Defense Force , JMSDF, also referred to as the Japanese Navy, is the maritime warfare branch of the Japan Self-Defense Forces, tasked with the naval defense of Japan. It is the de facto navy of Japan and was formed following the dissolution of the Imperial Japanese Navy (IJN) after World War II. The JMSDF has a fleet of 154 ships and 346 aircraft and consists of approximately 45,800 personnel. Its main tasks are to maintain control of the nation's sea lanes and to patrol territorial waters. It also participates in UN-led peacekeeping operations (PKOs) and Maritime Interdiction Operations (MIOs). The Myanmar Navy is the naval branch of the armed forces of Myanmar with 19,000 men and women. The Myanmar Navy currently operates more than 125 vessels. Before 1988, the Myanmar Navy was small and its role in the many counterinsurgency operations was much less conspicuous than those of the army and air force. Yet the navy has always been, and remains, an important factor in Myanmar's security and it was dramatically expanded in recent years to an external threat defence role in Myanmar's territorial waters. 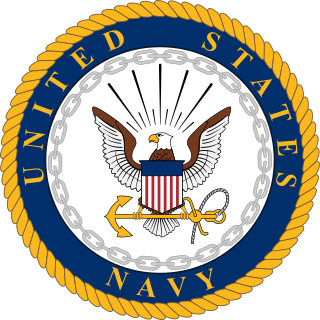 Joint Army–Navy Assessment Committee (JANAC) was a United States inter-service agency set up to analyze and assess Japanese naval and merchant marine shipping losses caused by U.S. and Allied forces during World War II. The Korean People's Navy (KPN), officially the Korean People's Army Naval Force, is the naval service branch of the Korean People's Army, which contains each branch of the North Korean armed forces.